It’s been over two weeks since my last update, which I apologize. I didn’t have my laptop with me during Spring break and the Internet connection wasn’t that good during our travels anyway. Last week was Spring Break for us International students at Seinan Gakuin University. 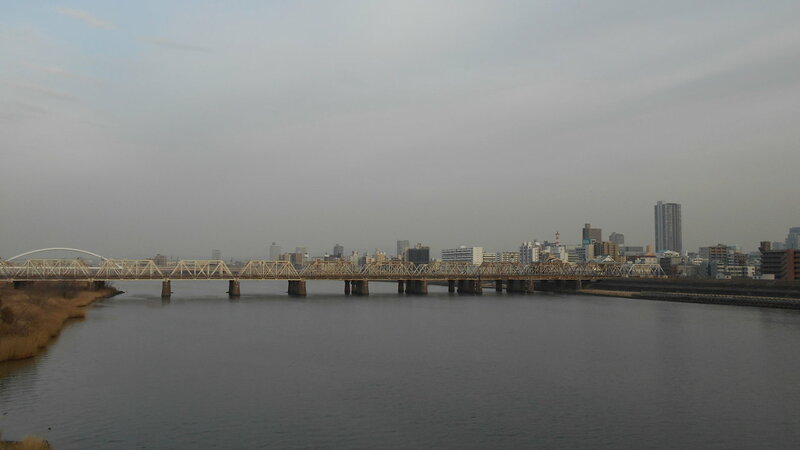 I left Fukuoka on Friday February 2nd with two of my friends. We rode the Shinkansen (bullet train) to Osaka, where we started our Spring Break adventure. The first day we spent exploring Osaka. We walked from our airbnb apartment to Dotonbori, which is a famous and busy street in Osaka. When we got there, a girl group of performers had just finished their gig by the river. It was interesting seeing the girls go meet their fans on the other side of the river. 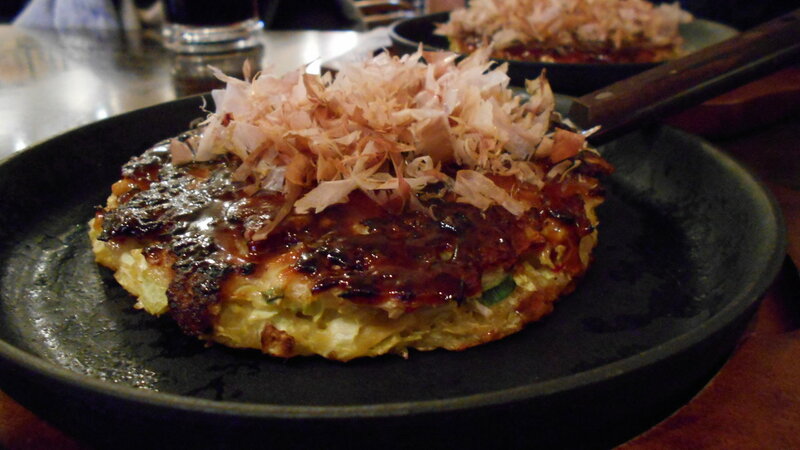 Our main goal in Dotonbori was to find a good Okonomiyaki place. We got picked out from the street by one of the people who advertise restaurants and bring customers in. He insisted that they had okonomiyaki and took us to the restaurant, which was not an okonomiyaki one. Fortunately, the waitress serving us was very understanding and lead us out. There was a nice, actual okonomiyaki restaurant right up the street and we were happy to find it. Okonomiyaki from Osaka is definitely my favorite kind of okonomiyaki. The next day we took the train to Kyoto, which is the old capital of Japan and well known for its many shrines. 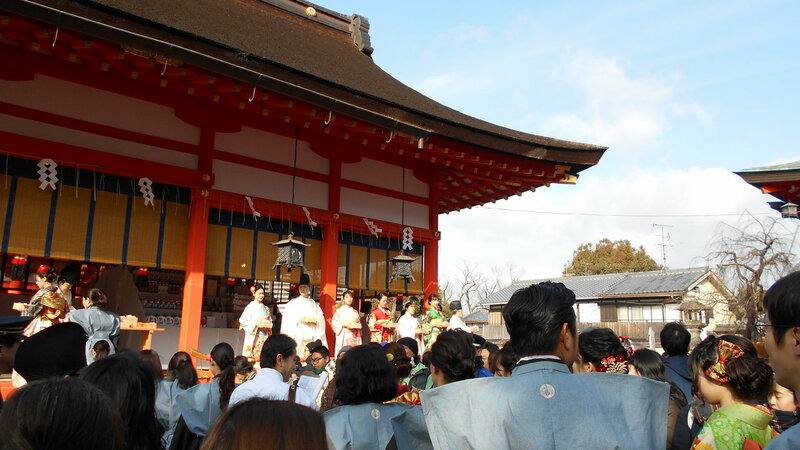 We had the luck to arrive in Kyoto on February 3rd – Setsubun. Setsubun is celebrated in the beginning of Spring to welcome good luck into the household and to get rid of the bad luck (or demons). During Setsubun, the father wears an Oni-mask (Japanese demon) and the kids chase him outside, throw beans at him and yell “おにはそと、ふくはうち”, which means something like “demon out, good luck in”. The beans are later collected and everyone eats the amount of beans equal to their current age. These days the beans are thrown in small bags to avoid making a mess. We arrived at Fushimi-Inari shrine early and got to participate in the Setsubun event at the main shrine. 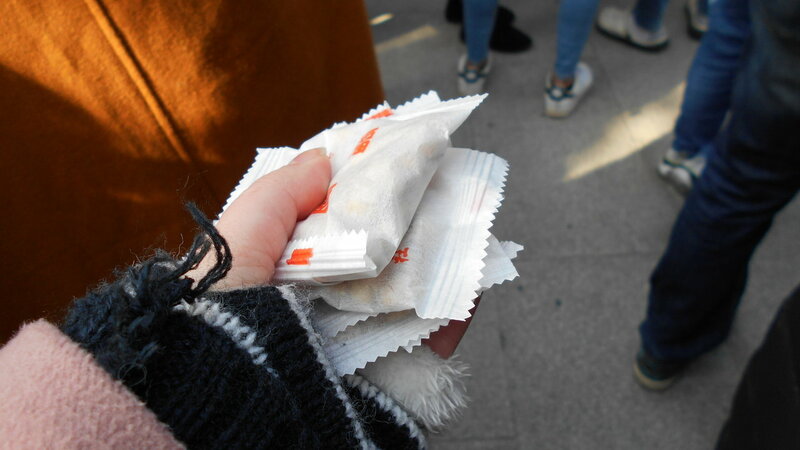 The priests and priestesses threw small bags of beans into the crowd and people jumped and ran to catch their share. I caught four bags of beans and got one from my friend. One of the bean bags flew right into my scarf, which was funny. 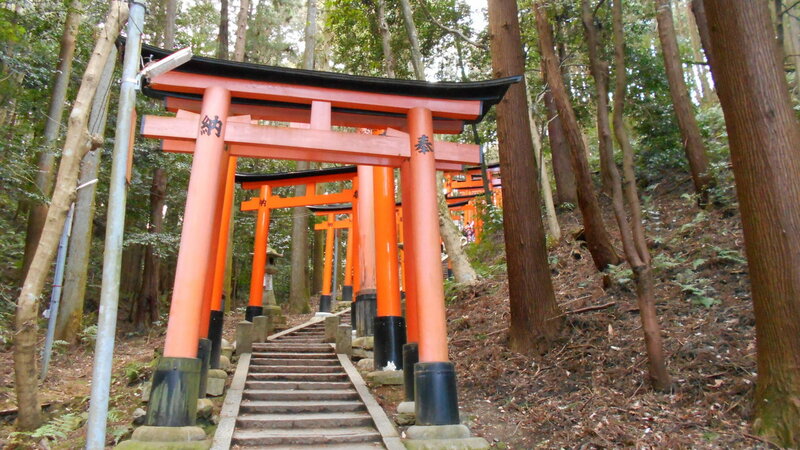 Later, we climbed on top of mount Inari where there’s a lot more small shrines on the way. We visited the the mountain top shrine. At first, I wasn’t sure I could make it to the top, but together we pushed through the exhaustion. You can’t really see much at the top, but there’s a ledge to see the city lower down the road. On Sunday February 4th, we took a train from Osaka to Kansai International Airport and flew to Tokyo. We were tired from traveling and spend the rest of the day searching for free wi-fi and sleeping. Our airbnb apartment was very small and smelled kind of funny, so we avoided spending time there and planned the whole week’s schedule beforehand. 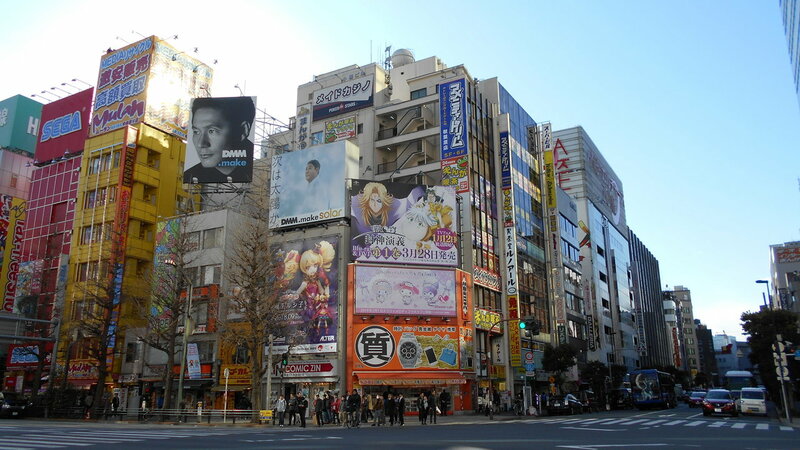 On Monday, we went to Akihabara, the famous part of Tokyo for its multiple game, anime and manga stores. We spent the whole day exploring the shops and buying souvenirs for our friends and family. 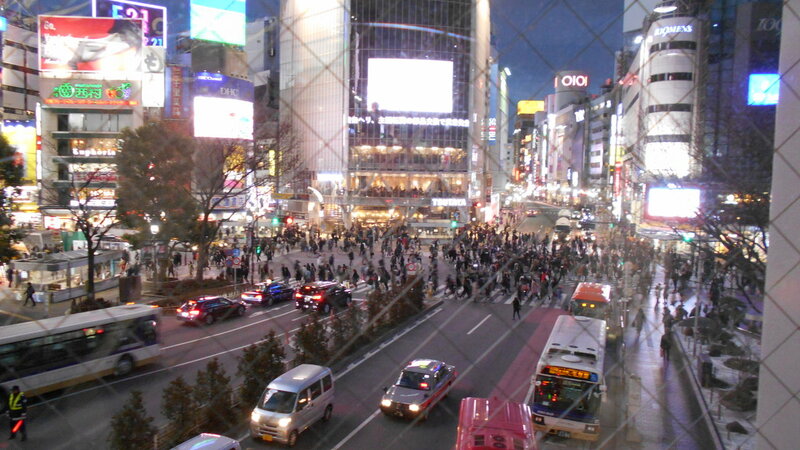 There was also a street advertisement for a young singer’s concert and she was singing close to the Akihabara Station. She had a beautiful voice. We also visited a shrine dedicated to IT. As I’m a Software Engineering student, I felt the need to buy the IT charm to bring me luck in finding a job. 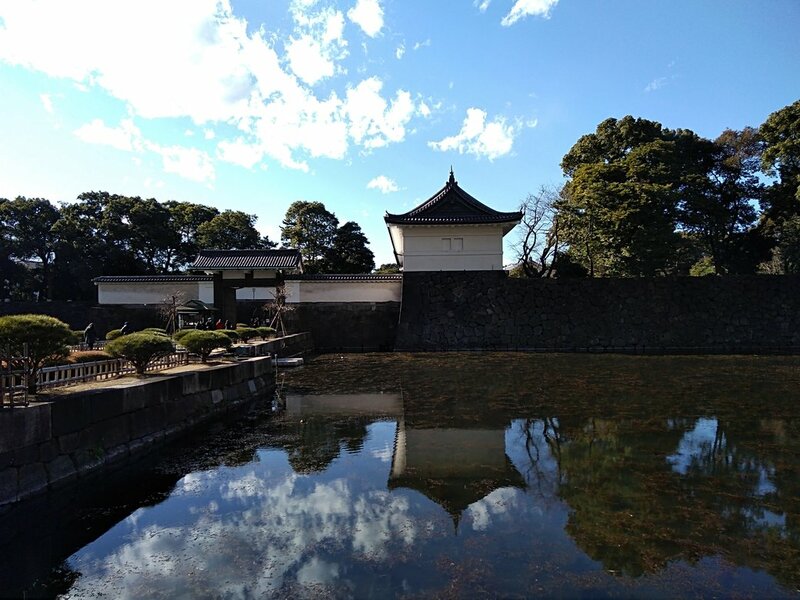 We visited the Imperial Palace Garden in Chiyoda on a sunny, beautiful day and got to enjoy the park area without feeling cold. The whole week in Tokyo was actually sunny and warm, which is kind of funny since it’s North from Fukuoka. 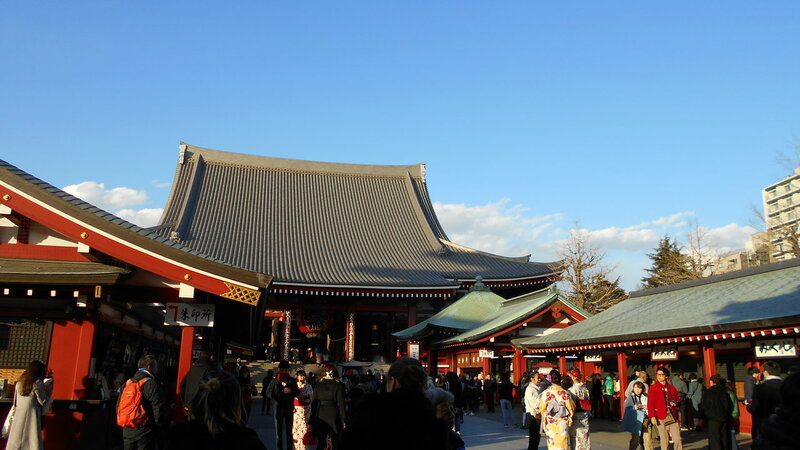 We also visited Sensoji Temple in Asakusa, a famous Buddhist temple, which was found by two fisherman brothers who found a Buddha statue from a river. The statue is now worshipped in Sensoji temple. There’s a shopping street very close to the temple and there were a lot of people everywhere around the temple. On Wednesday we had an animal day. We visited Ueno Zoo, which blew my mind. 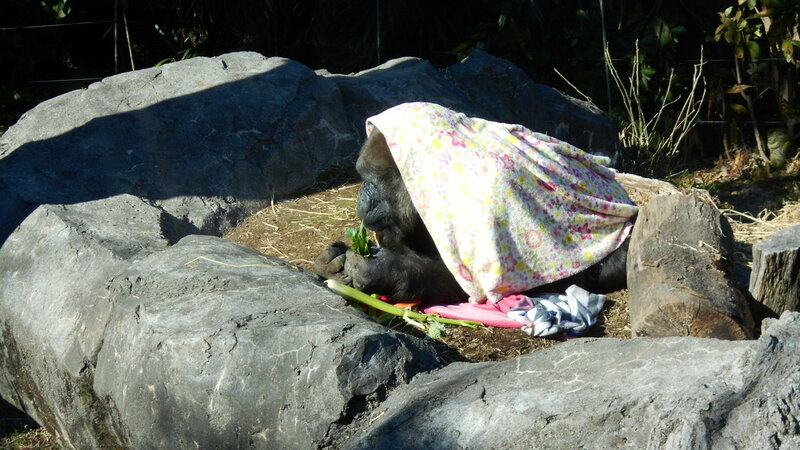 I saw so many different animal species, the kind I had never seen before in addition to the lions and gorillas. 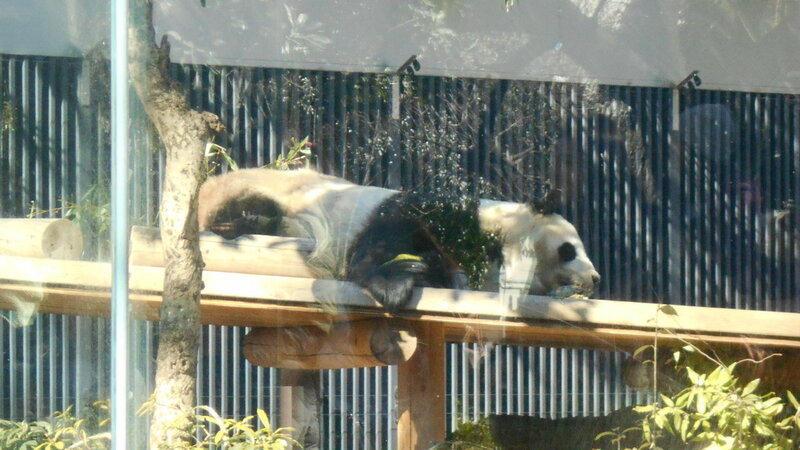 We also got to see one of the pandas. To see the new baby panda we should have bought a different ticket and those were already sold out by the time we got to the zoo. Later that evening we went to a dog cafe in Shibuya and got to hang out with six different dogs. Me and my friend have dogs of our own back home and petting the dogs at the cafe was like therapy for us. On Thursday, we went to the Square Enix headquarters. Unfortunately, we could only go to the gift shop in front of the building, but we were happy to just see where some of our favorite games are made. We also went to see a stand-up comedy show, which I’d booked via airbnb. The comedian was a Japanese man, who performed in English. He offered us drinks and talked to us before his show. There were only four of us, since some of the other guests for the night had canceled. The show was small and intimate and he was funny. Afterwards we stayed at the bar and took part in takoyaki night, eating as many takoyaki as we wanted. It was delicious. Our last day in Tokyo was Friday, because on Saturday we spent most of the day at the buss station in Shinjuku, waiting for our 15 hour night buss ride back to Fukuoka. On Friday, we visited some museums and went back to Akihabara to go to a maid cafe. 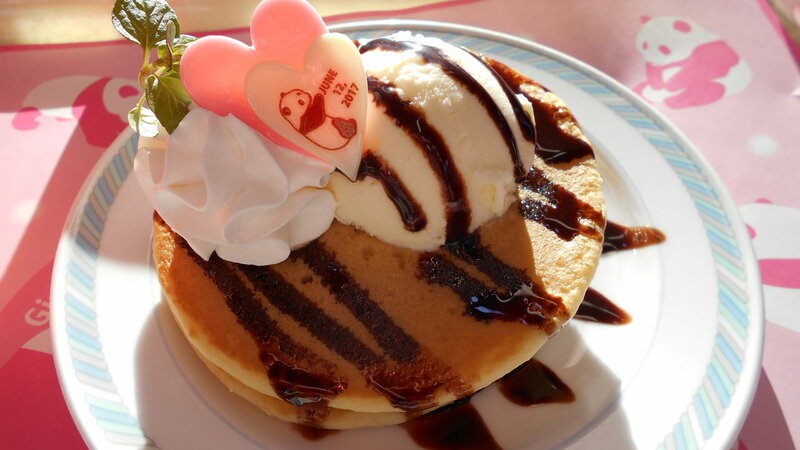 The maid cafe was cute and the ice-cream dessert I ate was delicious. It was a nice experience – I enjoyed meowing and posing cutely to the fullest. But now I’m happily back in Fukuoka. There’s already a lot to write about later this week, so keep your eyes peeled for this Sunday!